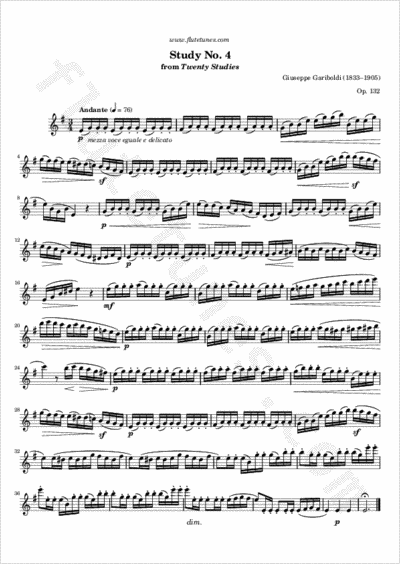 Here is another étude from Giuseppe Gariboldi's Twenty Studies, this time in E minor. It is marked “mezza voce eguale e delicato”, which can be translated literally as “half voice (i.e. quiet), even and delicate”.